It will be easier for your website visitors, especially those busy professionals, to follow your updates and start a business with you if they have access to your pages and sites. 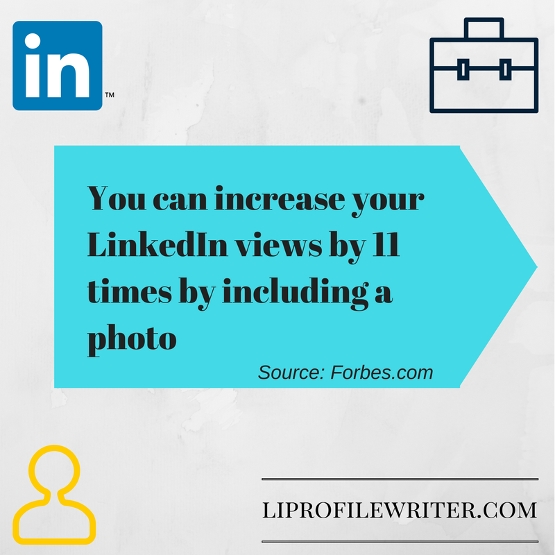 It is imperative that you add a LinkedIn Badge to your site in order for your visitors to be directed to your page once they click it. A successful company needs to establish the presence in social media and especially in the sites devoted to finding new employees so the LinkedIn buttons on the company page will never be redundant. With the help of such buttons, the client and the potential employees can engage and easily follow your business activity. Such buttons can also help your business to grow the base of the followers. With the help of LinkedIn follow buttons the visitors don’t puzzle themselves with finding your account on LinkedIn to join you, all is synchronized so that everything the person needs to do is to go on your site and click on the button. When the person follows you through the following badge the updates will be visible on that person’s LinkedIn feed. Setting up a badge on your website is just simple. Follow the step-by-step guide in creating a LinkedIn badge to your site below and enjoy the buttons that will simplify the work with LinkedIn related questions and features. With the help of LinkedIn professionals installing a badge on your website will be much easier! Get our help now! Click on the LinkedIn’s main menu bar at the top of the page. Select Edit Profile. Click on the settings below your profile picture. The LinkedIn badge opens. Choose your preferred graphics and the code for each. Click on the box with highlighted code and copy. Log into your website and right click on the spot and paste the code where you want your badge to appear. Like Facebook Share button and Twitter Retweet Button, LinkedIn has its own sharing button that allows users to share LinkedIn contents with their networks. You can add this professional Linkedin badge for website conveniently. How to add this badge LinkedIn to your site? Once you have chosen the theme you want to add, copy and paste the code. Add it to the website post loop. Go to your site and the Share on LinkedIn button will appear. Select the type of count mode you want to have on your site. Either horizontal count or No count follow button. Paste the code on your website. After making the process, your Follow Company Linkedin badge for the website will display. Go to LinkedIn Developer Page. Select a display mode. Either Inline display mode, Icon/Name Display Mode or Icon Display Mode. Choose between “On hover” or “Click” as your display mode behavior. Refresh your site and you will see your Member Profile Linkedin badge display on your site. Your website appears differently when you view it yourself. Click the “Hello World in Five Easy Steps” in the introduction. Paste the API code on your website. Localize your Plugin by using similar language to your site. LinkedIn will supply lists of language codes. Translate your website language by supplying the lang-locale code (5characters) and “lang” parameter. If not, the LinkedIn badge will show with the default English language. Signed in members will be automatically converted as your LinkedIn member. Copy and Paste designated codes on the website <head> and <body> to do this. After following the instructions, refresh your website browser and see the Sign In with Linked In badge on your site. Let job hunters discover your website’s reliability through showing some of your company’s information like current employees, new employed personnel and alteration of employee structures. It is advisable to put this Company insider Linkedin company badge on your website’s career page. Enter the name of your company. You can use company I.D or choose from the dropdown. Paste it on the website post loop. Go to your website’s career page and the Company Insider Linkedin badge for website will appear on top of it. This serves as a business card for your company. The Company Profile Linkedin company badge displays your company logo, company summary, employee numbers, LinkedIn associates and Follow button. Display this Linkedin badge on your homepage, contact, career page and about. Paste it on your page’s post loop. Introduce your company to more audiences through this Company profile LinkedIn badge for website. Professionally present yourself through the Full Member Profile Linkedin badge. Show your experiences and educational attainment through this plugin. Conveniently set up this Linkedin badge on your site. Generate your profile I.D and Show your Profile Widget. Change the generated code by adding <div>. Modify the log-in button in the page body by inserting the parameter data-onAuth to the getId() function name. You have just installed the Full Member Profile LinkedIn Badge on your site. Select a display mode. You can post your company’s job hiring or other companies job vacancies. Paste the code on your site. You can now share and inform your networks about latest job vacancies on the web. We do customized and effective LinkedIn badge that is noticed. We can help you edit LinkedIn profile to stand out among your competition with a relevant and catchy badge that displays your knowledge, expertise and credibility in your field. Ordering a customized badge on your website is easy and affordable. Just fill up the order form and tell us your requirements. Our dedicated badge maker will contact you to discuss other matters, including your goals and other important aspects of the project. We will deliver your order on the agreed time and revise it upon your request. With us, you can rely on 100% satisfaction because we offer only reliable and trusted Linked services for professionals like you. Our team can guarantee precise and satisfying results. We’ve been providing this type of service for years and since then have helped thousands of experts show the world what they have. If you would like to know more about our LinkedIn profile services, feel free contacting us today! Start adding website badges on your page and access wider scope through this LinkedIn website widgets. Increase your website traffic, rapidly with these customized badges. Coming up with the best LinkedIn profile was easy with the LinkedIn profile writer from LI Profile Writer Company. I truly appreciate the services. Now, I am a fulfilled employee in one IT company in the US.